Cosmic vortex: The black hole Cygnus X-1 swallows matter of an adjacent blue giant star, emitting X-rays. The idea that black holes exist dates back to the 18th century with John Michell and astronomer Pierre-Simon de Laplace. Later, Einstein used his General Theory of Relativity to pave the way for these “dark bodies” to enter the realms of science. Black holes are not made up of matter, although they have a large mass. This explains why it has not yet been possible to observe them directly, but only via the effect of their gravity on the surroundings. They distort space and time and have a really irresistible attraction. It is hard to believe that the idea behind such exotic objects is already more than 230 years old. The birthplace of black holes is to be found in the peaceful village of Thornhill in the English county of Yorkshire. In the 18th century, this is where John Michell made his home, next to the medieval church. He was the rector here for 26 years and – as borne out by the inscription on his memorial in the church – highly respected as a scholar as well. In fact, Michell had studied not only theology, Hebrew and Greek at Cambridge, but had also turned his attention to the natural sciences. Thought games: in 1796, the French mathematician, physicist and astronomer Pierre-Simon de Laplace described the idea of ​​heavy stars from which light could not escape. His main interest was geology. In one treatise, which was published after the Lisbon earthquake of 1755, he claimed that subterranean waves existed which propagated such an earthquake. This theory caused quite a stir in the academic world, and led to John Michell being accepted as a Fellow of the Royal Society in London, not least because of this theory. 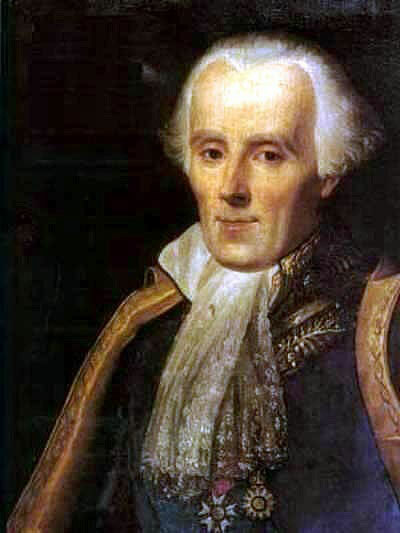 More than a decade after Michell, another scientist took up this same topic: in his book published in 1796 – Exposition du Système du Monde – the French mathematician, physicist and astronomer Pierre-Simon de Laplace described the idea of massive stars from which no light could escape; this light consisted of corpuscles, very small particles, according to the generally accepted theory of Isaac Newton. Laplace called such an object corps obscur, i.e. dark body. The physical thought games played by John Michell and Pierre-Simon de Laplace did not meet with much response, however, and were quickly forgotten. It was left to Albert Einstein with his General Theory of Relativity to pave the way for these “dark bodies” to enter the realms of science – without this really being his intention. Although the existence of point singularities, in which matter and radiation from our world would simply disappear, can be derived from the equations he published in 1915, 1939 saw Einstein publish an article in the journal Annals of Mathematics in which he intended to prove that such black holes were impossible. 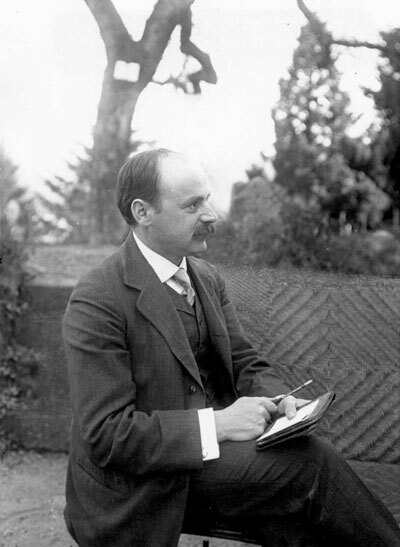 Higher mathematics: Karl Schwarzschild calculated the size and behavior of a non-rotating and non-electrically charged static black hole in 1916, based on the general theory of relativity. But back in 1916, the astronomer Karl Schwarzschild had taken the Theory of General Relativity as his basis to calculate the size and the behavior of a non-rotating static black hole carrying no electric charge. His name has been given to the mass-dependent radius of such an object, inside which nothing can escape to the outside. This radius would be around one centimeter for Earth. Schwarzschild had a meteoric career during his short life. Born in 1873 as the eldest of six children of a German-Jewish family in Frankfurt, his talent emerged at an early age. He was only 16 when he published two papers in a renowned journal on the determination of the orbits of planets and binary stars. His subsequent career in astronomy took him via Munich, Vienna and Göttingen to Potsdam, where he became director of the astrophysical observatory in 1909. A few years later, in the middle of Word War I – Karl Schwarzschild was artillery second lieutenant on the Eastern front in Russia – he derived the exact solutions for Einstein’s field equations. He died on 11 May 1916 from an auto-immune disease of the skin. The topic of black holes did not yet find its way into the scientific domain, however. If anything, the interest in Einstein’s theoretical construct diminished more and more after the initial hype. This phase lasted approximately from the mid-1920s to the middle of the 1950s. Then followed what the physicist Clifford Will called the “renaissance” of the General Theory of Relativity. It now became important to describe objects which initially were only of interest to the theoreticians. White dwarves, for example, or neutron stars where matter exists in very extreme states. Their unexpected properties could be explained with the aid of new concepts derived from this theory. So the black holes moved into the focus of attention as well. And scientists working on them became stars – like the British physicist Stephen Hawking. At the beginning of the 1970s, Uhuru heralded in a new era for observational astronomy. The satellite surveyed the universe in the range of extremely short wavelength X-ray radiation. Uhuru discovered hundreds of sources, usually neutron stars. But among them was one particular object in the Cygnus (=swan) constellation. It was given the designation Cygnus X-1. Researchers discovered it to be a giant star of around 30 solar masses which shone with a blue glow. An invisible object of around 15 solar masses orbits around it – apparently a black hole. This also explains the X-rays recorded: the gravity of the black hole attracts the matter of the main star. This collects in a so-called accretion disk around the massive monster, swirls around it at incredibly high speed, is heated up to several million degrees by the friction – and emits X-rays before it disappears in the space-time chasm. 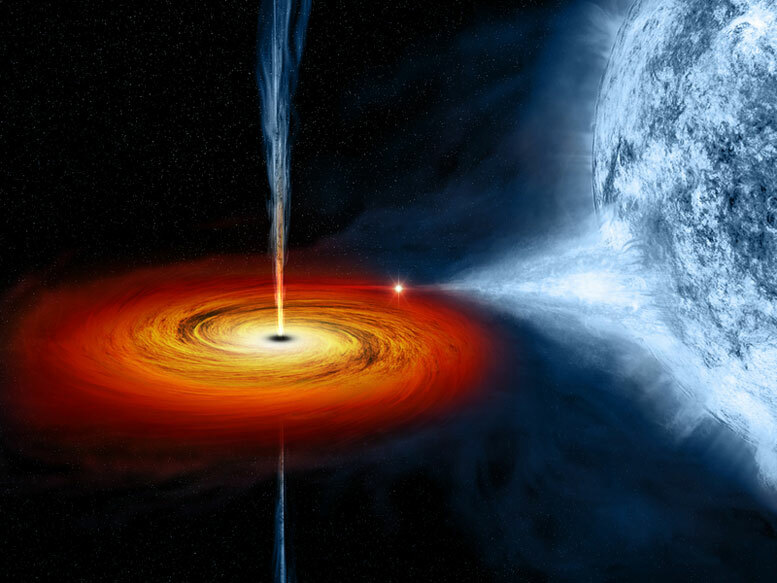 Cygnus X-1 is by no means the only black hole which the astronomers have detected indirectly. So far, they have found a whole series of them with between 4 and 16 solar masses. But there is one which is much more massive. It is located at the heart of our Milky Way, around 26,000 light years away, and was discovered at the end of the 1990s. In 2002, a group including Reinhard Genzel from the Max Planck Institute for Extraterrestrial Physics succeeded in making a sensational discovery: at the Very Large Telescope of the European Southern Observatory (ESO), the scientists observed a star which had approached the galactic center to within a mere 17 light hours (just over 18 billion kilometers). During the months and years that followed, they were able to observe the orbital motion of this star, which was given the designation S2. It orbits the center of the galaxy (Sagittarius A*) once every 15.2 years at a speed of 5000 kilometers per second. From the motion of S2 and other stars, the astronomers concluded that around 4.5 million solar masses are concentrated in a region the size of our planetary system. There is only one plausible explanation for such a density: a gigantic black hole. Our Milky Way is no exception: the scientists believe that these mass monsters lurk at the centers of most galaxies – some even much larger than Sagittarius A*. A black hole of approx. 6.6 billion solar masses is located inside a giant galaxy known as M87! Like Sagittarius A*, this stellar system 53 million light years away is also part of the observation program of the Event Horizon Telescope. With the discovery of gravitational waves in September 2015, the history of black holes reached its present climax. At that time, waves from two merging holes with 36 and 29 solar masses were registered. This heralded in a new era of astronomy, whose aim is to bring light into the dark universe. And also to shed light on these mysterious black holes. 1 Comment on "The History of “Dark Bodies” and the Birthplace of Black Holes"
You state that Cygnus X-1 is a giant star of around 30 solar masses and that the black hole orbiting Cygnus X-1 is only 15 solar masses. Why did the relatively smaller body collapse into a black hole while the larger body did not?